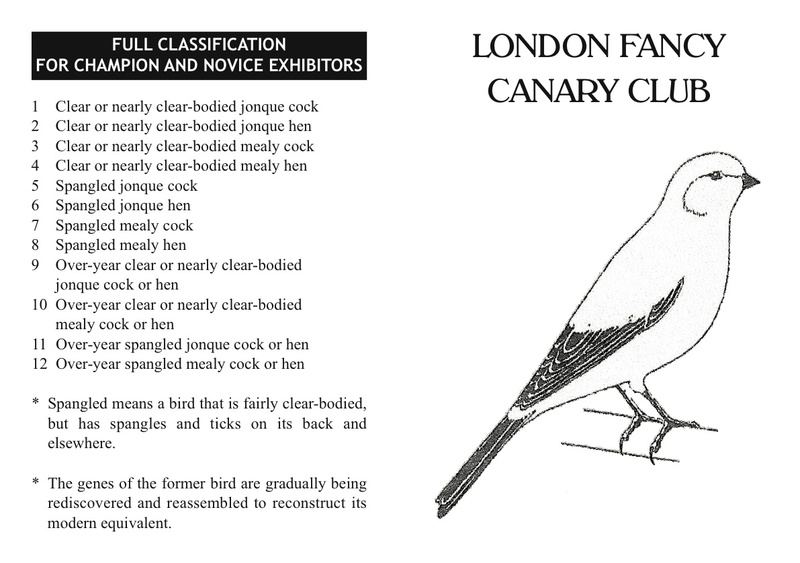 My thanks to Andy Early for supplying the official Classification and Scale of Points of the London Fancy Canary Club. For more information, contact Bernard Howlett at 01359 221245. 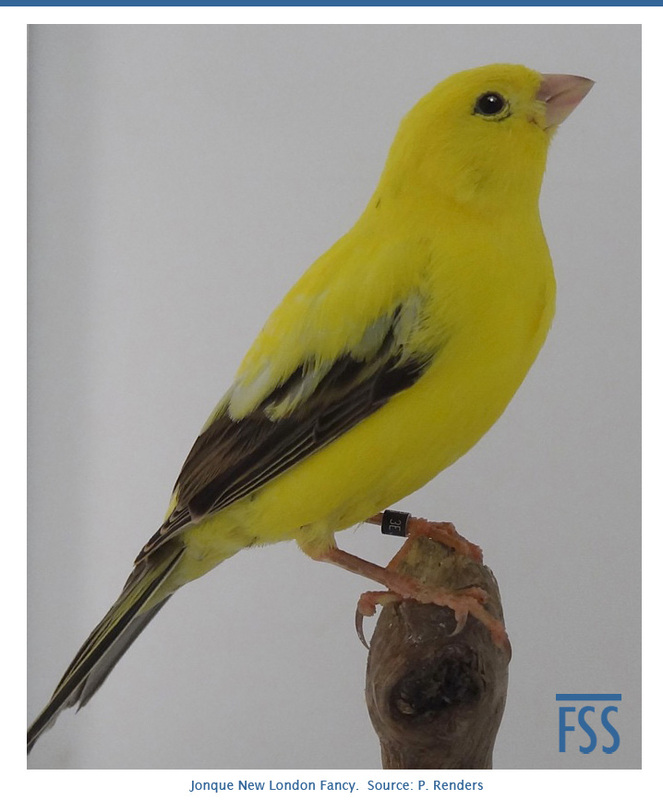 It is a beautiful bird, and I am convinced that it was originally created by crossing a canary to the American Goldfinch which also created the Lizard Canary!!!! There are several candidates for the fertile hybrid theory. This is another subject on my long list of future articles. 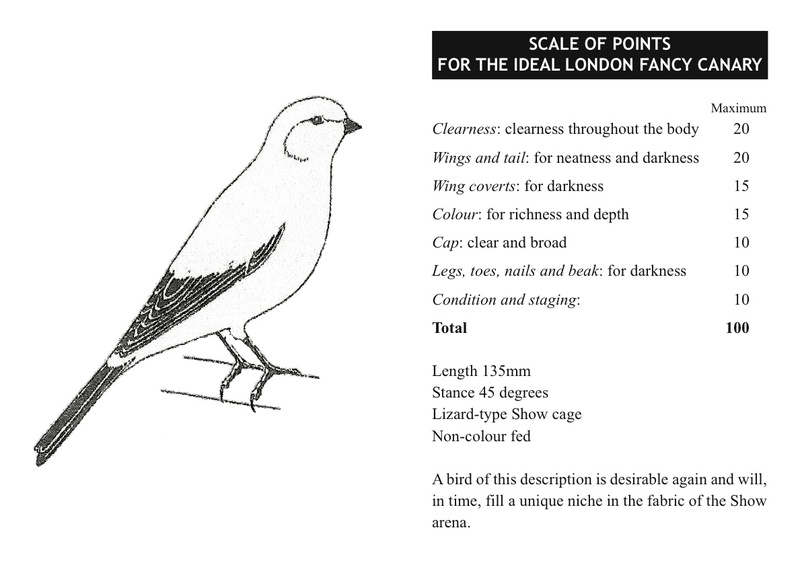 To support my theory is the fact that the earliest descriptions of the london fancy had it black capped as well as black wings and tail. What is also interesting is the fact even nowdays the american goldfinch is found with and without cap in its summer plumage. Riziero, could you provide evidence please?